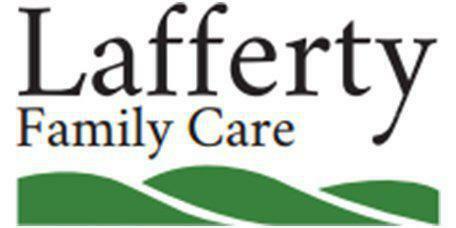 "Dr. Lafferty and the staff at Lafferty Family Care are outstanding." "Dr. Lafferty is an awesome physician. His passion and focus is his clients." "Dr Lafferty is great! Helping me get back to feeling healthy again." "Lafferty Family Care is a great doctors office that really cares about their patients!" "Professional, personal, sincere, no-nonsense preventative care." "Great Doctor! Very personable! Highly recommend." "Doctor is good at what he does and friendly while he does it, appointments are fast." You should build a relationship with a trusted family physician who can care for you -- and every member of your family -- during all of your life stages. At Lafferty Family Care in Bentonville, Arkansas, Scott Lafferty, MD, can take care of all of your preventive and ongoing care needs. His practice serves the surrounding towns of Rogers, Bella Vista, Springdale, Fayetteville Little Flock, Osage Mills, Centerton, and Prairie Creek, among others. As an Arkansas native, Dr. Lafferty earned his undergraduate degree in biology from Lyon College in Batesville, Arkansas. He continued on to medical school and received his medical degree from the University of Arkansas. Dr. Lafferty fulfilled his residency requirements at St. Bernard’s Regional Medical Center in Jonesboro, Arkansas, and is currently board certified in family medicine. Dr. Lafferty has specialized expertise in heart health. He has trained in the Bale/Doneen method, which is a revolutionary plan that can prevent heart disease, stroke, and diabetes. His specialization includes a certification as a heart attack-prevention specialist with the Society for Heart Attack Prevention and Eradication (SHAPE). Dr. Lafferty can also help with hormone imbalances by offering hormone replacement therapy treatments. Lafferty Family Care is currently accepting new patients who need a family care practitioner, or a primary care physician. The office provides care for all members of your family over the age of two. Get rid of unwanted fat with SculpSure this season! With the spring upon us, now is the perfect time to purchase your SculpSure treatments at this exceptional price. Get $200 off (20% off!) your first SculpSure treatment. Don't miss this limited-time offer! Financing is available for those who qualify. We are excited to announce that we offer financing options for our patients for SculpSure treatments through Care Credit. Please click the logo below to see if you qualify. We are invested in the comprehensive health of each patient and committed to tailoring our services to the individual so you can Live Young and Stay Young. Here is a short list of insurance providers we accept, please contact the office if you have any questions.